Kyoshi Edward E. Wilkes, Doshu was born in Libby, Montana on February 12, 1950. The first time Sensei Wilkes stepped on the mat was in the year of 1964, when he was on the high school wrestling team, until 1969. He enlisted in the Marines as a member of the Evergreen State Platoon on 12 July 1969. In 1977, Sensei Wilkes met Sensei Rudy Singleton, Headmaster of the Laurel Bay Judo Club located at the Laurel Bay Base Housing Community Center, Marine Corps Air Station, Beaufort, South Carolina. He trained with Sensei Singleton and went to the All Marine Judo Championships held at Marine Corps Recruit Depot, San Diego, California along with other Judokas from the Laurel Bay Judo Club. Sensei Wilkes earned 1st Place in the 209 pounds and above weight division and proceeded to compete for Grand Champion. In 1978 he inherited the Laurel Bay Judo Club from Sensei Rudy Singleton when he retired from the Marine Corps. From that time on Sensei Wilkes brought the membership up to 100+ members strong. Sensei Wilkes went to the All Marine Judo Championships and met Sensei Ben McKay (El Toro Judo Club, Marine Corps Air Station, El Toro, California) and Sensei Bill Dye (El Cajon Judo Club, El Cajon, California) both members of the United States Judo Federation of Southern California (Nanka Yudanshakai of Southern California). With the guidance of these two sensei he ran the Laurel Bay Judo Club for the next three years. Each year Sensei Wilkes placed either first, second or third in his weight division. He was promoted to 1st degree Black Belt on February 12, 1981 by Sensei Hill from the United States Judo Association (USJA) National Office during a Seminar at the Laurel Bay Judo Club. In 1981, Sensei Wilkes moved to Marine Corps Air Station (MCAS) El Toro, CA and became an assistant instructor with Sensei Ben McKay. In 1982 Sensei Wilkes was selected at the Marine Judo Championship to represent the 209 pound and above weight Division to train at the Olympic Training Center in Colorado Springs, Colorado. Also later that year he was selected to train with Leo White at the USN Station at Port Hueneme, California, and to attend the All Military World Games. In 1982 Sensei Wilkes was promoted to Nidan by Sensei Ben McKay of The El Toro Judo Club and Sensei Bill Dye of the El Cajon Judo Club. His rank was Registered with the Kodokan in Japan. Sensei Wilkes was promoted to Honorary Nidan in Karate to officiate as a referee at the Karate Tournament at MCAS El Toro. About this time Sensei Wilkes met Sensei Jim Jarrel and Sensei Chen Lee Woo of the Woo Chen Karate Jitsu Club. From 1982, Sensei Wilkes trained with both of these Sensei up until late December 1983. In 1983 Sensei Wilkes moved to Kaneohe Bay, Hawaii, and started the Wild Bill Wilkes Kaneohe Bay Judo and Ju-Jitsu/Karate Jitsu Club. In 1986 he moved to Tustin, California and started Wild Bill Wilkies Judo, JuJitsu and Karate Jitsu Club. In 1994 the club was moved to Lake Forest, California at the Lake Forest Sun and Sail Club. At this time he started training with Sensei David A. Dye of Costa Mesa, California. (International Shuyokan Aikido Federation of California). In 1997 the Club name was changed to Goshin Budokan U.S.A. Classes were held at Sensei's home and nearby at Lake Forest Sun and Sail Club. Sensei Wilkes was registered and promoted to Shichidan in Aikido Goshin Jutsu by Shodai Sensei David A. Dye and was promoted to Shichidan in Woo Chen Karate Jitsu by Shihan Jim P. Jarrell. Sensei Wilkes ran both clubs with the Instructor Rank of Kyoshi and was brought into the Woo Chen Family as Chen Da Hu (Big Tiger of the Chen Family) by Shihan Jim P. Jarrell, new Headmaster of Woo Chen Karate and head of the Woo Chen Family. Goshin Budokan was designated a branch Shuyokai of the International Shuyokan Aikido Federation of California in 1997. The System Sensei Wilkes founded is Goshin Budokan's "Present Day Reality School of Self Defense Martial Arts". The school's emphasis is on traditional and practical training in Goshin Do Ryu JuJitsu and Aiki-JuJitsu. 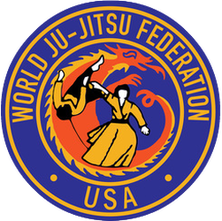 In 2002 Doshu Wilkes moved the dojo to Moreno Valley, California. On March 1, 2003 his club was officially named the Shubukan Martial Arts Center of Moreno Valley, California by Sensei David A. Dye of the Shuyokan Martial Arts Center of Costa Mesa, California. In 2004, 2006 and 2011 Seminars were held at Sleeping Dragon Dojo under the Direction of Sensei Ernest C. Hewitt Jr. with Sensei Ernesto Javier, Ruiz Hornacek, Sensei Roger Belbel and my son Edward Paul Wilkes in the black Judo Gi. On December 31, 2007 moved the American International Shubukan Hombu Martial Arts Training Center to Fabens, Texas until the present. 1. 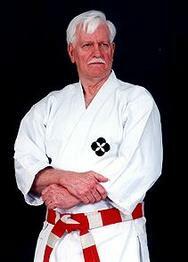 Founder and Headmaster of Goshin Budokan U.S.A. Genjitsu Ryu Aiki-Ju-Jitsu and Goshin Do Ryu Ju-Jitsu, formerly the Wild Bill Wilkies Judo & Jujitsu Club. 14. 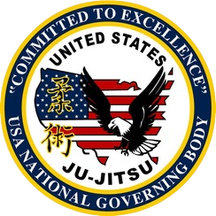 United States Judo Inc.